Yesterday was the much-ballyhooed “Net Neutrality Day of Action,” an online protest day on which thousands of websites, people and services called attention to the impending revocation of net neutrality rules by the FCC. And the turnout, it turns out, was quite impressive. 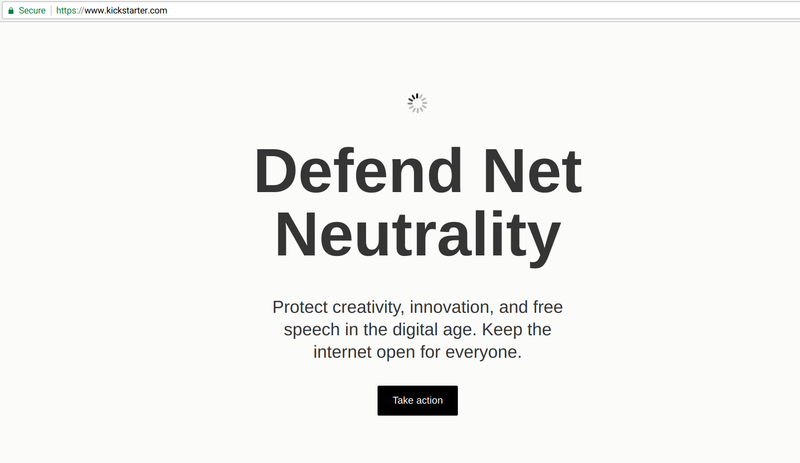 It would be quite difficult to use the web at all yesterday without running into at least a handful of pop-ups, site takeovers and funny messages all aimed at getting people to make their voices heard on the net neutrality debate. Tumblr, Twitter, Netflix, Yelp, Kickstarter, Mozilla, Vimeo, Spotify, Airbnb, Amazon, Reddit, Etsy, YouTube, Twitch and many, many more participated; we gathered a few interesting ones into a gallery. The broad exposure and ease of access to feedback mechanisms (some sites let you call your representative with a keypress, others submitted comments to the FCC on your behalf) made for a pretty tremendous volume of reactions. The battle is far from won, of course, and as FCC representatives have said, the Commission isn’t a democracy and its members have no obligation to accommodate public demand — however overwhelming.